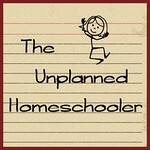 So, you've decided to homeschool. That's great! One of the first things you may need to do is withdraw your child from public school. How you do this depends on where you live. 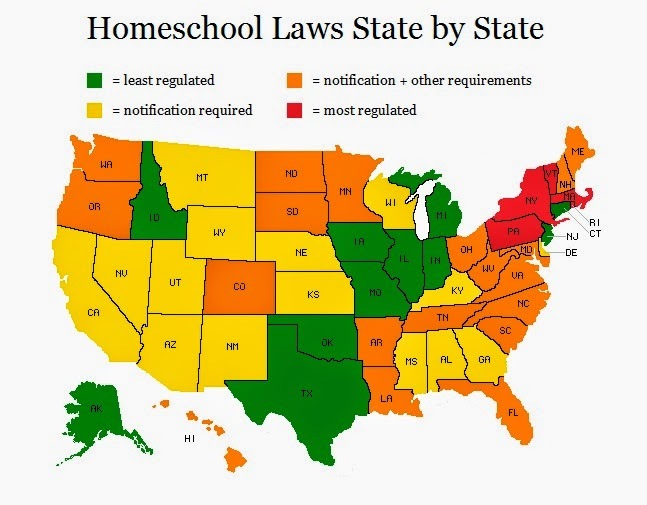 Each state has its own regulations and requirements for homeschoolers. Withdrawing from public school may be as easy as turning in your child's books and walking out the door. But you may have to fill out state forms or even get approval of your education plan from the local school district in order to begin. Take a look at the map above. The states colored green are the least restrictive. Notice of intent to homeschool is not required in these states. However, if your child is already enrolled in public school, the statewide homeschool organizations in most of these states suggest that you submit a short withdrawal letter, just to avoid any problems with truancy accusations. You can find links to sample withdrawal letters, state mandated forms and instructions to help you begin homeschooling legally in every state at the links provided below. 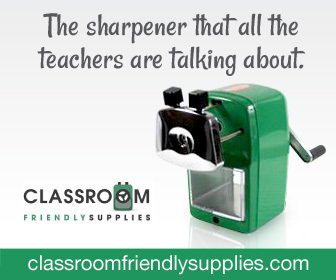 No notification of the state or local school district is required in these states. However, most of the state homeschool groups recommend submitting a withdrawal letter or notice of intent to homeschool to the local district if your child has previously been enrolled in public school. The following states require parents to file a notice of intent or submit a withdrawal letter when beginning to homeschool. The linked sites provide information and/or sample letters. The following states require either a notice of intent to homeschool form or withdrawal letter, plus other requirements such as testing, professional evaluations or even permission from the local school superintendent. The linked sites provide more information about the requirements in each state. The following states are the most highly regulated in the nation at this time. Although homeschooling is legal and you may withdraw your child from public school, you may have to obtain approval of your education plan and fulfill other requirements, such as testing and evaluations, curriculum review and more in order to legally homeschool in these states. The linked organizations above provide information only. Legal advice and representation may be recommended, especially in highly regulated states. HSLDA is a great place to start.